What you eat matters to more than just the size pants you wear. The enamel of the teeth represents the “frontline defense” for protecting the teeth. The enamel is the thin layer of hard material that surrounds the tooth and forms a protective barrier for the inside of the tooth. It protects the tooth from wear and tear from frequent use (eating, drinking, and speaking), while also protecting the inner layers of the tooth from harmful bacteria. In order for the enamel of the teeth to do its job in protecting the teeth, it must be healthy. At Gold Hill Dentistry, we are a comprehensive dental practice that offers excellent preventative dental care for patients of all ages. Foods and beverages can have a significant impact on the teeth. Soft drinks are one of he main offenders when it comes to weakening tooth enamel. Despite their name, they do not have “soft” effects on the teeth. Soft drinks contain a number of acids in order to give each drink its particular taste. Phosphoric and citric acid, which are widespread in almost all soft drinks, are highly corrosive and can cause significant damage to the tooth enamel. Fruit juices are also common culprits of damaging tooth enamel because of their high acidity content. Candy, in particular sour candy, has the ability to quickly weaken tooth enamel due to the high acidity content. Gummy candies and hard candies also have very negative effects on the enamel of the teeth. These candies tend to remain in the cavities of the teeth long after the candy has been “eaten”. This over exposure to the sugar weakens the enamel and makes it susceptible to decay. 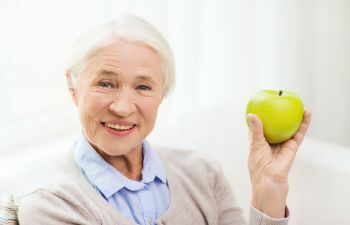 At Gold Hill Dentistry, we are committed to helping our patients become knowledgeable and wise about the foods and beverages they consume and how they relate to the health of their mouths. We make it a priority to guide patients throughout their dental care so that they make well-informed decisions regarding their dental health. We want to care for your smile through all stages of life. Call today for an appointment.